Outdoor play is vital to growing strong, healthy children! I’m so thankful for the many ways the CDC helped my son AJ and daugh ter Marina grow into the beautiful people they are today. I remember fondly dumping shoes full of sand out each night before we entered the house as AJ chattered excitedly about the trucks in the play area and his CDC friends. The mess caused by all that sand was worth it! He learned to collaborate and his imagination was ignited through all that outdoor play. 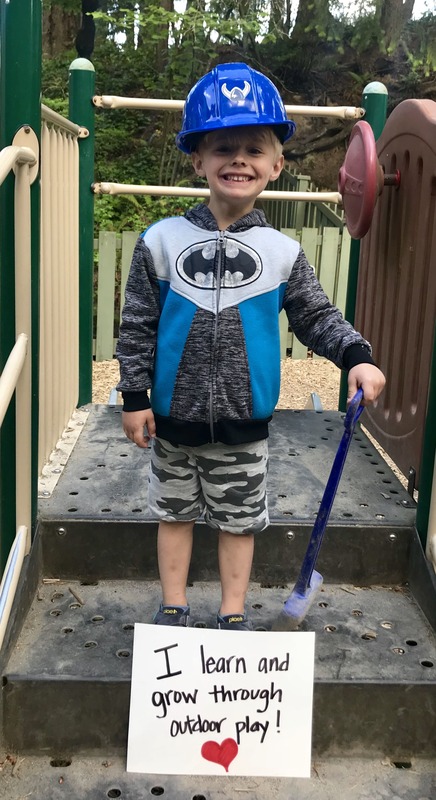 He recently received a kindness award at Happy Valley Elementary and I credit the CDC for the strong foundation that is helping him flourish as a kindergartner now. The CDC has created a community for our family that we never would have dreamt of. The curriculum extends beyond the classroom and we are continually impressed with how the CDC staff engage with the rest of the Western community on a daily basis. The teachers have even been great parenting coaches at times and we are forever grateful for them! My two children attended the CDC for 3 years each, experiencing each of the teachers and classrooms. The feelings I had as a parent from the first day to the last day of their time there was always knowing my child was safe, in a caring environment with teachers and peers, that they were exposed to experiences that helped them gain confidence, awareness, and intellectual growth and that they were fed the best food on campus! My children have built friendships that are still strong today. 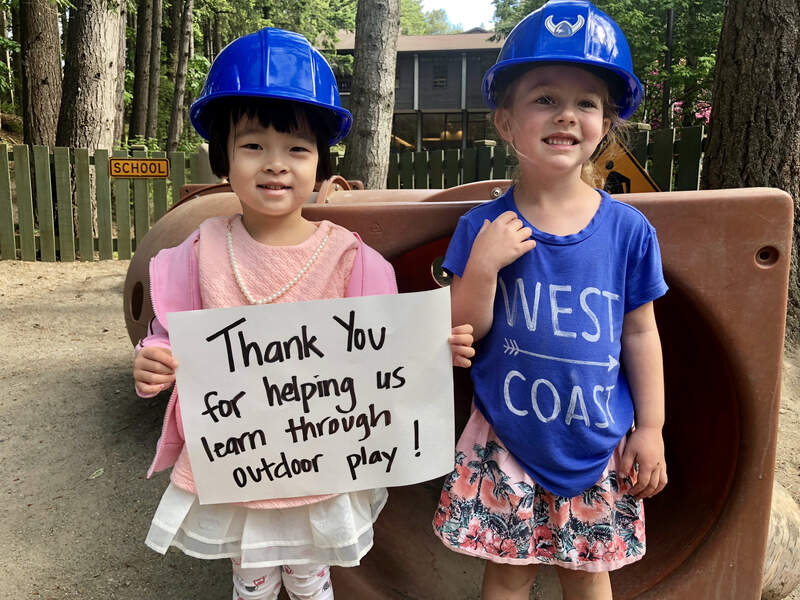 They both entered kindergarten with preparedness to work and play with their peers, to be good listeners and have inquiry, and to sustain a full day at school. We adore the teachers and always considered them leaders in early childhood education! We are beyond thankful for our family experience at the AS CDC! 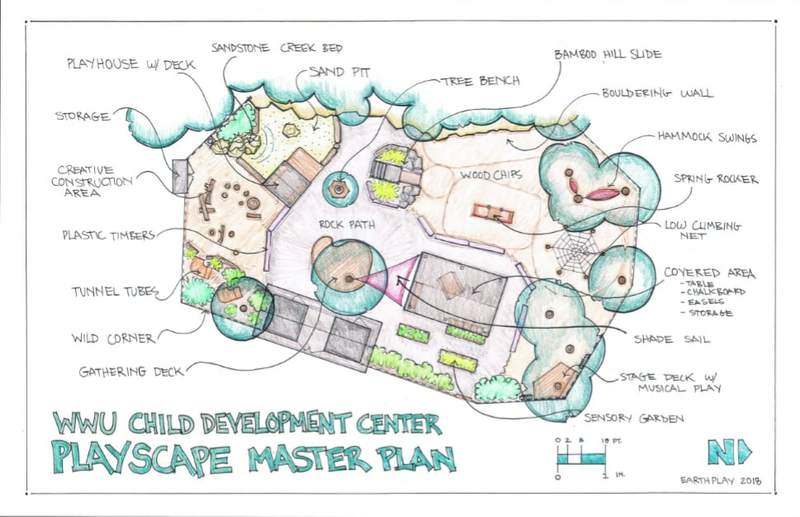 Please help us renovate the A.S. CDC playground! Playgrounds are places where children’s play can take off and flourish and as a result, outdoor play is a large component of the CDC’s curriculum. However, in CDC’s playground’s current state, 70% becomes underwater when it rains and some have even deemed it unsafe for children. 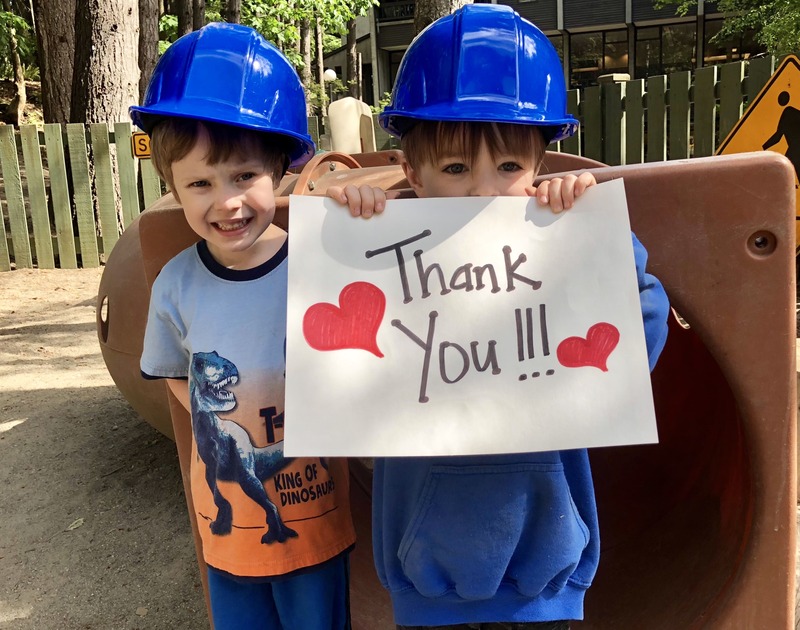 Please help us renovate the CDC playground so it’s impact can be year round and for many years to come! • Addition of natural, inviting play scapes such as a climbing wall, sand digging area, play house, slide, small stage for theatrical productions, sun covers, boulders for children to climb, gardens, and distinct areas of exploration. • Total project cost is $40,000, we raised $8527 on WWU Give Day, combined with previous funding we only need $6,473 more to complete the project, visit www.wwu.edu/give to get us to the finish line!!! !